Well, I know myself. I mean, I am kind of a rare otaku, even as a cosplayer, I am very rare. Because I cosplay a lot of characters from otome games and BL games. Moreover, I sometimes cosplay very minor characters most cosplayers don’t cosplay. To much worse, I am a man. A friend of mine told me before that I am the only one man who cosplays Mirage of Blaze. Even though I cosplay such a character from popular series, some of the characters I wanted to cosplay were very rare. No, most anime fans know my cosplays, but most cosplayers don’t cosplay. That is why people say like, “why are you following something like this?” Yes, I am following something most people don’t follow. So what is coming this time? He is Sakurai Eichi from Fullmoon wo Sagashite[Searching for Fullmoon]. 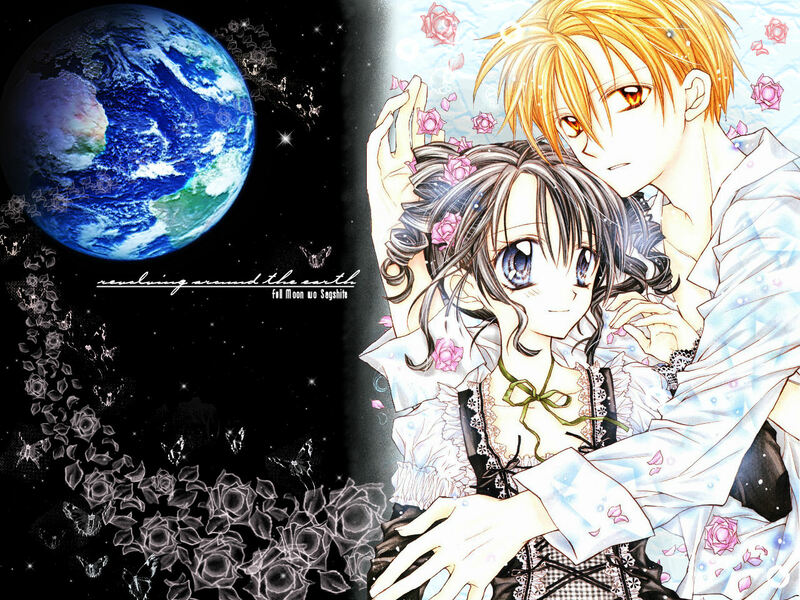 When I was watching this anime on TV, it was about 10 years ago. But I still love this even now! Because I like this kind of storyline, which a young girl yearns to be a diva for her first love, and makes a debut with magical power. Like most of my cosplays, Eichi-kun doesn’t count as cosplay. However, I wanted to cosplay him as I love him. He is so pure and ephemeral like an angel. It seems like I have had some new encounters lately. Actually, most of my cosplays this year were taken by new photographers. One of them is Muen Kashi ﻿who took me to the devastation. So what about this time? I got a newcomer again. In fact, my cosplay buddy introduced me to his friend. She is still a fresh cosplayer, but when I heard she wanted to cosplay Nodame Cantabile, I seriously wanted to speak to her. And yes, it came to pass. If you have followed Noitamina timeslot anime series, you might know this anime. 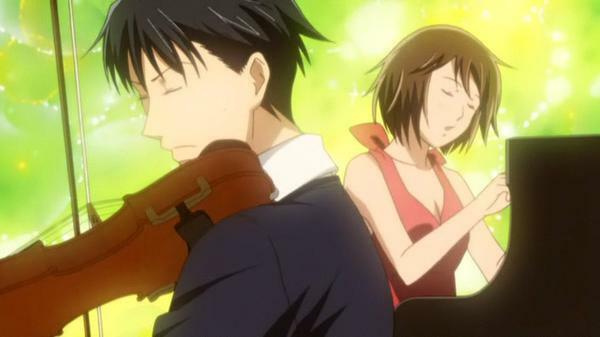 Although Nodame Cantabile is a shoujo manga, it has anime series and even a live-action drama series because it’s so popular. In short, it’s a love story between two piano students, but sometimes it becomes like a comedy, sometimes it gets so sweet. That is why it makes me watch over Nodame and Chiaki. Anyway, this cosplay doesn’t count as “cosplay” because the costumes are too natural. But the Nodame cosplayer said, “for me, cosplay is to act the character I cosplay. Not only wearing the costume, but we have to act!” I agree. Because I always enjoy acting the character. Our feeling is mutual. Moe has no shape. If you feel hot for something, whatever it is, it might be moe, I think. I already mentioned 工場萌え[koujou-moe] here. Actually a friend of mine is a big fan of 工場萌え. You might be surprised to hear so many plant fans are actually women. Why do they feel romantic towards plants? In fact, there is even one-day tour for plant maniacs. Yes, when it gets dark, plants start to light up. It looks so beautiful. My cosplay friend is so into plants that she had a photoshooting in front of the plant. She showed some of the photos, and they all look fantastic. Come to think of it, there are cosplay events at the plant as well. Needless to say, those fans go and cosplay at such an event. Those cosplayers do such as Evangelion, Black Lagoon, Darker than Black or Togainu no Chi. So did I. However, if the plant is not alive, I mean, if it’s abandoned it would be cooler, wouldn’t it? There is no people insinde, the walls are decayed, and a cloud of dust fills the air. Looks like a ghost appears. 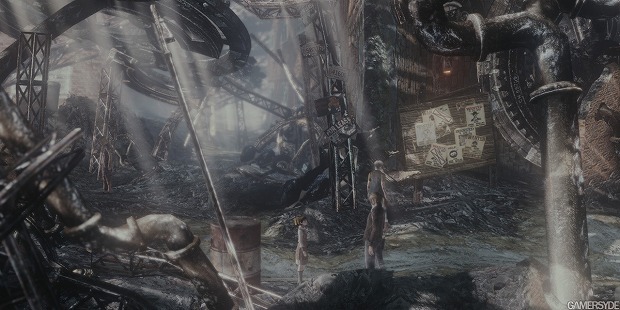 Yes, that is 廃墟[haikyo] or devastation. Of course, there are even haikyo maniacs. Speaking of haikyo, I have been to the jail named Alcatraz in San Fransisco. I just saw the outlook from the sea, though. I regret that I didn’t go inside. It is a popular sightseeing spot since it was closed in 1963. There’s even a film named Escape from Alcatraz, you should watch. Oh I shouldn’t forget Castle in the Sky, should I? He chose two characters from my cosplays, Heiwajima Shizuo from Durarara!! and Nagisa Kaworu from Neon Genesis Evangelion. When I got inside, it chilled my spine because it was a totally different space. Can I say like 閉鎖空間[heisa kuukan]? It’s like a real RPG! Muen Kashi kindly escorted me inside because there are a lot of danger at haikyo.